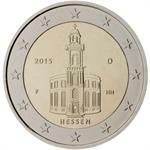 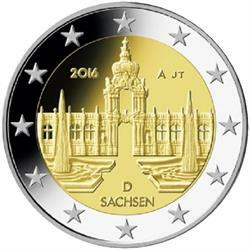 Home > history > un world heritage > 2016 Germany €2 UNC Coin Issue "Saxony"
The 11th release in the annual German Federation series features Saxony (Sachsen). 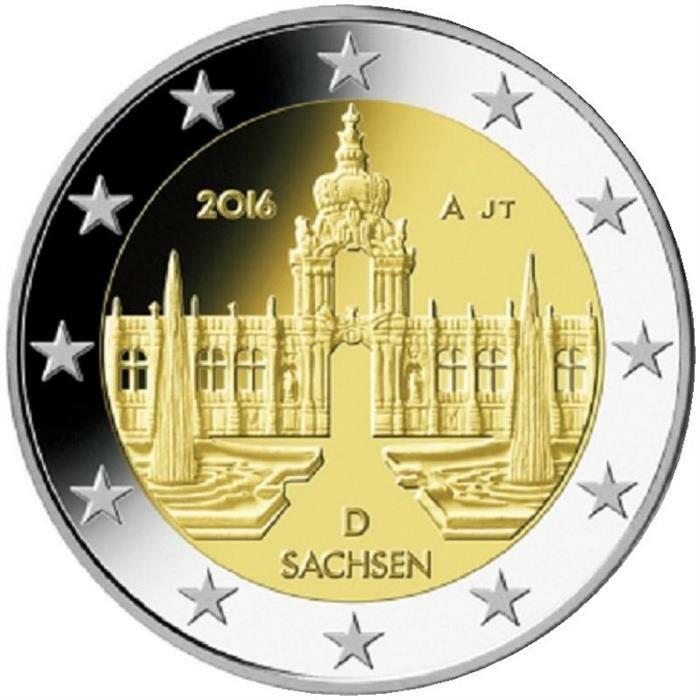 The design features the Zwinger in Dresden, a palace built in Rococo style and designed by court architect Matthäus Daniel Pöppelmann. 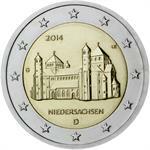 The location was formerly part of the Dresden fortress of which the outer wall is conserved. 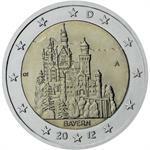 The name derives from the German word Zwinger, meaning an enclosed killing ground in front of a castle or city gate. 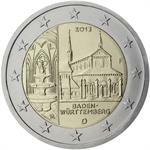 A part of the Dresden Elbe Valley, a former UNESCO World Heritage Site, the Zwinger and the rest of the Elbe Valley was de-listed from the World Heritage registry in 2009 because of the construction of a massive bridge in the city center. 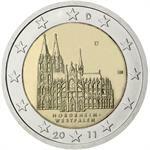 The federal states series consists of a total of 16 different €2 coins, each one bearing a unique symbol or building specific to the respective state. 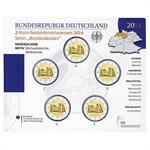 The series began in 2006 and a new coin is minted each year, in order of the rotating presidency of the Bundesrat (the upper house of the German parliament representing the federal states). 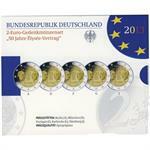 2013 Germany €2 UNC Coin Issue "Baden-Wurttemberg"
2013 Germany €2 Proof Coin Set "Elysee Treaty 50 Years"
All 5 mint marks in presentation folder. 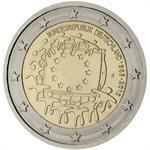 Only PROOF quality issued. 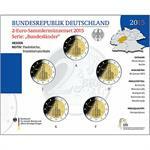 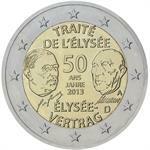 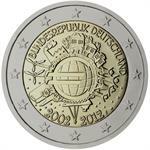 2013 Germany €2 UNC Issue "Elysee Treaty 50 Years"
2012 Germany €2 UNC Issue "Bavaria"
2011 Germany €2 UNC Issue "Cologne"